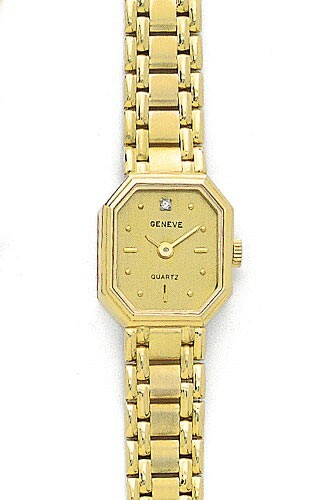 A fine classy looking solid 14K yellow gold watch by Euro Geneve with octagon shaped champagne colored face, and a diamond at the 12 hour mark. Anti-Scratch Sapphire crystal. Swiss ETA Quartz movement. Watch Band Length: 6 3/4"
Watch Face Size: 5/8" x 3/4"